Size: approx. 40-50 mm. Photo: 06/26/11, 11 am. What an amazing animal! 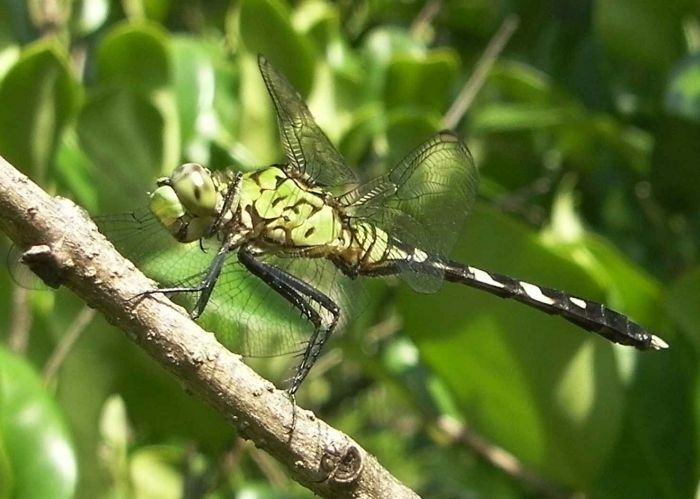 This is the Eastern pondhawk (Erythemis simplicicollis). The males of this species turn blue as they get older. These dragonflies are quite common throughout the Eastern US. They hunt flying insects. The complex pattern on the thorax of this specimen looks more complicated than in reference photos.